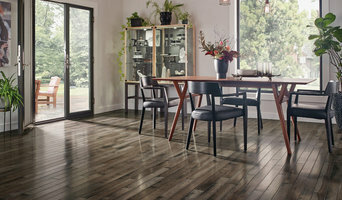 *Authorized Armstrong Dealer* Atlas Tile, Carpet & Wood Flooring Center is one of Connecticut's largest floor covering retailers. Serving Connecticut as a family owned and operated business since 1960. 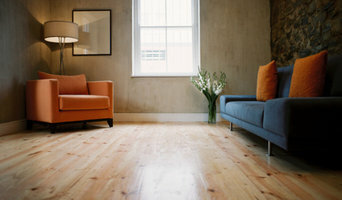 We specialize in providing the flooring products and services you want to further enhance and beautify your home. Our 5,000 square foot showroom features the area's most extensive ceramic tile, hardwood, carpeting, laminate, and vinyl flooring from around the world. We offer you only the best products from the best name brand manufacturers. Forest House Tile offers the design and fabrication of hand pressed art tile for your unique ideas. Forest House Tile has a full clay workshop where we sculpt, glaze, and fire our tiles. We also offer experienced installation of all tile and stone in bathrooms and kitchens. 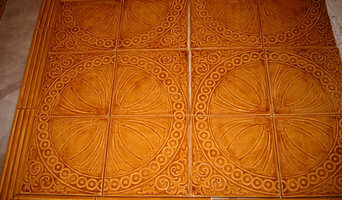 Tile Designs by Laura was established by me in 1999. During that time, I have designed beautiful and elegant kitchens and bathrooms for many satisfied customers. Tile ensures a timeless beauty for your home. We have materials from which you can choose to make your home the best it can be. We have a tile and stone collection to fit any budget. Everyone can have something special to make their project unique. The Stone Company was established in February 2005 and has over 22 years experience in the stone industry. We have done extensive research from Guilford to New London and have determined there is a need for a local high end stone facility in the Clinton area. We believe we are a welcome addition to the shoreline community and strive to establish many strong relationships with designers and homeowners. We offer free measurements and Estimates, Interest free financing up to 6 months. We fabricate kitchen counter tops, bathroom vanities, table tops and more. We have a knowledgeable and friendly staff who are commited to providing the best experience for our customers and getting them their dream kitchen or bathroom! G & F Marble, Granite and Tile are a family owned and operated business. We custom fabricate countertops, vanity top, fireplaces, tub surrounds, desk tops and more. We provide services for residential and commercial projects. We specialize in fabrication and installation of custom granite, marble and travertine. Our goal is to provide the best products with the greatest service possible. E.W. Granite & Marble, LLC. specializes in the fabrication and installation of counter tops, vanities, and fireplaces in granite, marble, soapstone, and quartz. We use state of the art machinery for our fabrication job, Workmanship is side effect of our tools and technicians. It's a single roof store for all your granite, marble, stones, tiles, sinks and faucet needs. Over 25 Years experience in the retail & wholesale trade sales in the Stone & Tile business. We have one of the largest selections of tile in the TRI-State area. CT's premier showroom. Come in to see why so many customers come back again and again. Tile, stone, countertops, cabinetry, and remodeling; design, sales and installation. 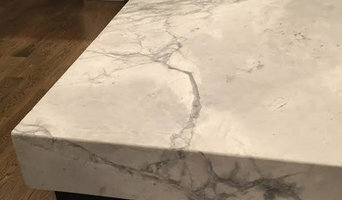 Natural stone and quartz counter tops fabricator. V&W Tile Co is located in Plantsville, Connecticut. This organization primarily operates in the Tile Installation, Ceramic business / industry within the Construction - Special Trade Contractors sector.